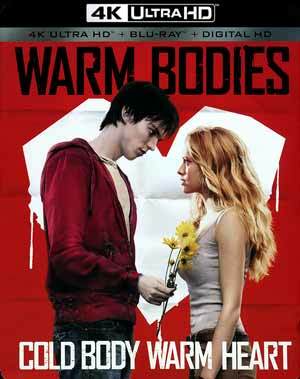 Warm Bodies is a breath of fresh air in what I consider to be the somewhat stale zombie sub-genre with a well written screenplay, based off of a novel, and two wonderful performances from Nicholas Hoult and Teresa Palmer. Note: The screen captures were taken from the 1080p Blu-ray. Plot Synopsis: A terrible plague has left the planet’s population divided between zombies and humans. An unusual zombie named R (NICHOLAS HOULT) sees his walking-dead brethren attacking a living woman named Julie (TERESA PALMER) and rescues her. Julie sees that R is different from the other zombies, and the pair embark on an unusual relationship. As their bond grows and R becomes more and more human, a chain of events unfolds that could transform the entire lifeless world. 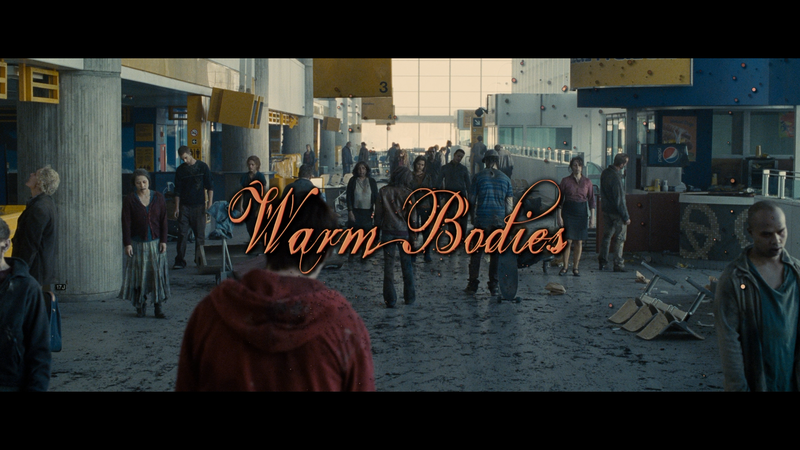 Quick Hit Review: For whatever reason, I hadn’t seen Warm Bodies in the 4 years since its release. As you may know (or not), I’m not the biggest fan of zombie flicks mainly because they are overabundant be it on television with The Walking Dead and numerous independent releases. But this was an absolutely refreshing take bringing in romance and comedy, with a bit of Romeo and Juliet drama and Beauty and the Beast thrown in, to the bloody horror that is brain-eating zombies. But what really makes it work, beyond a tight and oft funny script, based on the novel by Isaac Marion, is with the two leads, Nicholas Hoult and Teresa Palmer who were absolutely wonderful sharing some great chemistry together. Warm Bodies was directed, and adapted, by Jonathan Levine coming off of the well-regarded Joseph Gordon-Levitt/Seth Rogen drama-comedy, 50/50 and just signed on to helm Coming to America 2, though after seeing this, seemed to be perfect for something like Justice League Dark. But I digress: this film is brilliant on just about every level from the writing, acting and, given its reported $35 million, was awfully impressive with the visual effects, especially the “Boneys”, not to mention the zombie make-up effects were noteworthy as well. This two-disc release comes in the standard black HD keep case and comes with a glossy slip cover. Inside is a redemption code for the Digital HD copy. All the features are on both the 4K and Blu-ray discs and there are a fair amount of them. Boy Meets, Er, Doesn’t Eat Girl (9:49; HD) on how the film came together from getting the rights to the novel and developing the film. R&J (16:21; HD) is about the main characters and casting Hoult and Palmer in the respective roles. A Little Less Dead (16:41; HD) goes into casting the supporting roles. Extreme Zombie Make-Over (10:11; HD) on the make-up design for the zombies. A Wreck in Progress (14:59; HD) is on the filming locations and production design. Bustin’ Caps (10:09; HD) is about the fight sequences and training. Beware the Boneys (7:04; HD) breaks down the design and vfx of the Boney creatures. 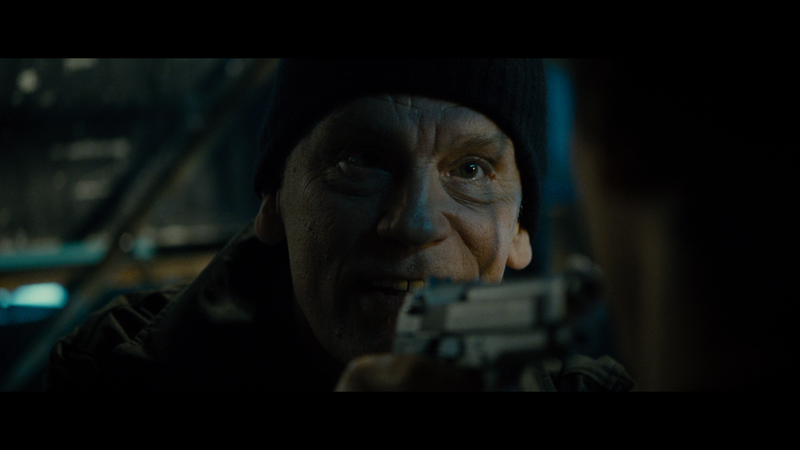 Deleted Scenes (11:11; HD) – There are nine scenes that failed to make the cut. Comes with an optional director’s commentary. Also included are Whimsical Sweetness: Teresa Palmer’s Warm Bodies Home Movies (12:38; HD) taking viewers behind-the-scenes with the adorable Australian actress; Zombie Acting Tips with Rob Corddry (4:43; HD) from the Screen Junkies Show; Shrug and Groan Gag Reel (5:07; HD) with antics by the cast; and last up, the Theatrical Trailer (2:32; HD). 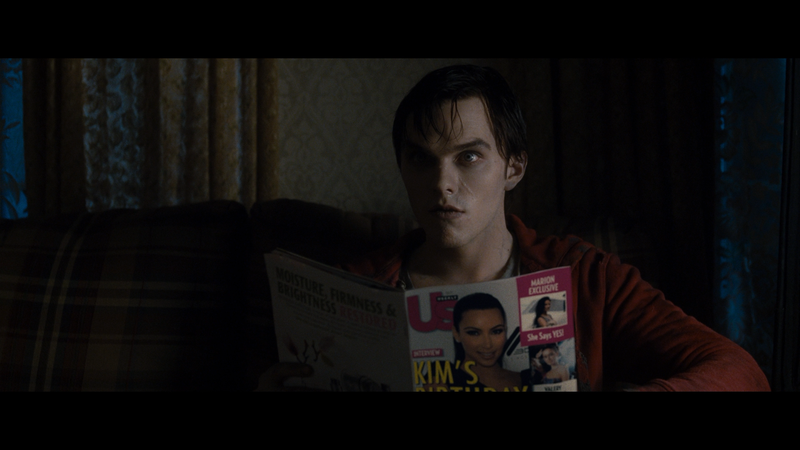 Warm Bodies groans onto the 4K format through Lionsgate, presented in its original 2.40 widescreen aspect ratio and a 2160p ultra high-definition transfer. The disc comes with both Dolby Vision (which my television does not have) and HDR, based on that, the picture isn’t bad but it’s not what I’d call incredible. The colors in this zombie movie actually have some pop to them while the detail appears sharp and nicely defined. Although this is not the best 4K I’ve encountered, it’s hardly the worst. The movie has been given a slight upgrade over its Blu-ray counterpart, which was DTS-HD MA 7.1, with a Dolby Atmos track. This isn’t the richest soundtrack or anything, but much like the picture, it still sounds really good from crisp and clear dialogue levels making use of the center channel while the other available speakers are relegated for the pleasant soundtrack and score, as well as some ambient noises like the zombie grunts or Boneys terrors. Overall, Warm Bodies is a breath of fresh air in what I consider to be the somewhat stale zombie sub-genre with a well written screenplay, based off of a novel, and two wonderful performances from Nicholas Hoult and Teresa Palmer. This 4K release offers great video and audio transfers, though not a big upgrade over the Blu-ray, and a fine array of bonus features available on both the 4K and Blu-ray discs.